I’m going to try something new today, we’ll see how well it works out. 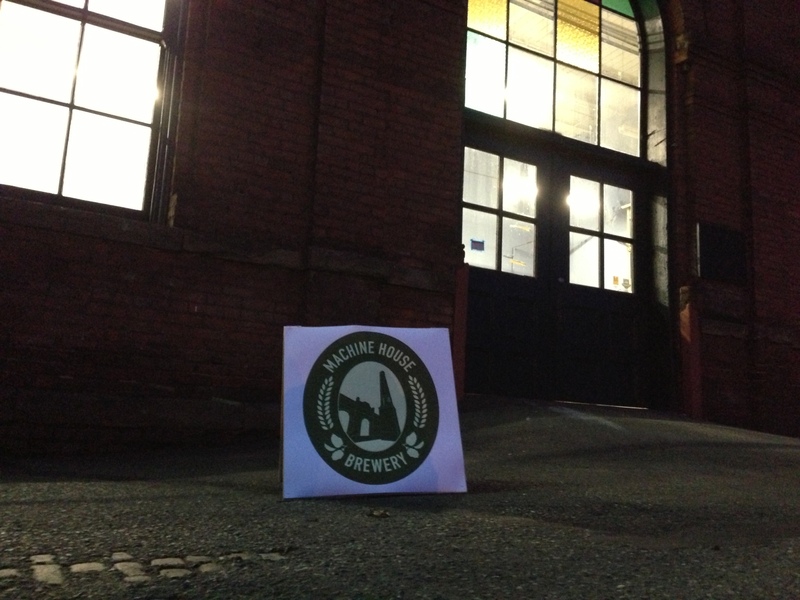 Cindy and I are at the opening of Machine House Brewing in Georgetown (Seattle, Wa), and I’m going to write a live article. My goal will be to post it before I leave. I reserve the right to come back to edit it and add photos later. We were a bit challenged in finding it. It was our fault as we approached it from the Northeast of their building, back where the old Georgetown Brewing was. There were no obvious signs for the brewery, until we saw it’s number 121 on the mailbox. We found their door (actually three) and entered, through the BACK door. So we are challenged. We walked through, past the cold storage, entered the taproom, and saw the FRONT door. Lesson learned, enter from the South, diaganally from Georgetown Records. The space is big! It looks like they have some room to grow. It’s definitely industrial, after all we are in Georgetown, and in an old brewery. It is a bit chilly too, so bring a coat and gloves. For accomodations they have a large walk up bar, a comfy sofa (which we are sitting on now), and a couple tables with keg seats. Owners Bill, the brewer, and Alex were behind the bar meeting all the patrons at their new establishment. We had great conversations about how they met (same soccer team) and started the brewery. Bill and I talked about traditional British beers and the new movement in England where more breweries are making more American Style beers. It was really good conversation, you should have been there. On tap today they have three beers: Mild, Gold, and a Bitter all served out of traditional British hand pump Beer Engines. The Gold is good, an English Ale with earthy malt and floral hop flavor. The Bitter, a darker amber hue, is very smooth, malty with mild hop finish. I should have started with it, with the hops from the Gold still fresh on the tongue. Moving onto the Mild, a dark roasted malt flavor bomb that is so easy to drink, is only 3.6 ABV, and tastes great. Watch out North Fork, this may be my new favorite session beer in Washington. Okay, I’m frustrated and done, with my iPhone not Machine House Brewing. Bill and Alex are off to great start. I look forward to watching them grow. Very groovy LIVE blogging idea! Congrats on the new opening and cheers to more beers! Thanks Nitch. Over all it worked out pretty well, though I need to use something better than just an iPhone to write it. Cheers!